The Festival of Abilities is set to return after it’s successful event in 2015. 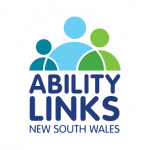 The team at Ability Links New England North West are working to get some great activities, including the return of wheelchair sports which proved popular last year. Like their Facebook page for all the updates.